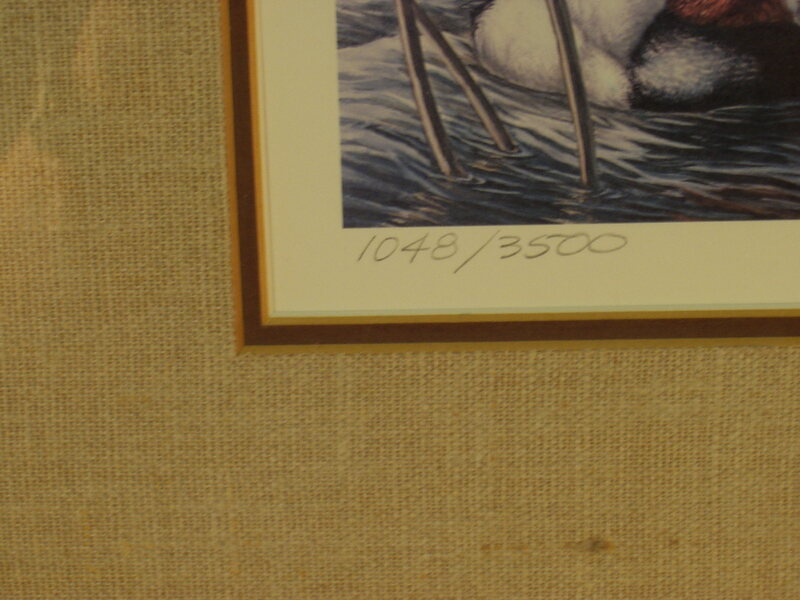 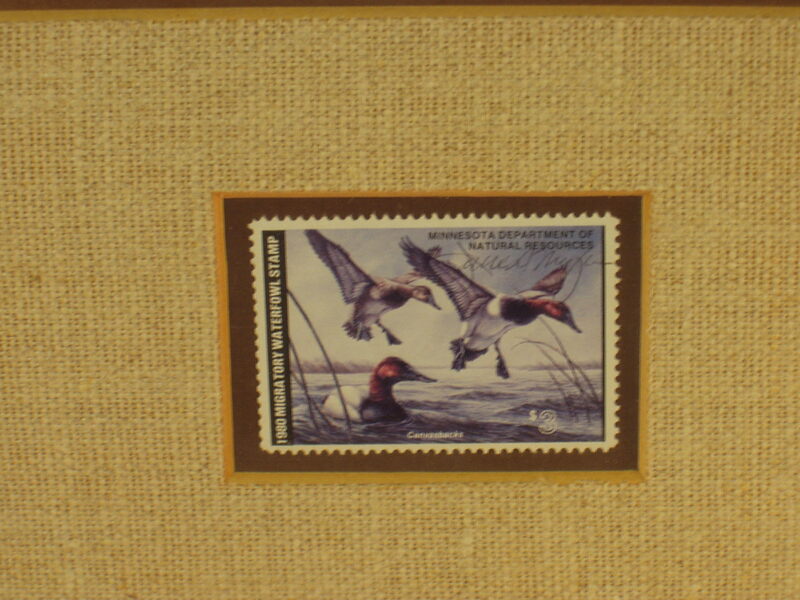 Pictrued is a David Meager ( Signed and Numbered 1048/3500) 1980 Minnesota Waterfowl Hunting Stamp ( Canvasbacks) duck stamp edition. 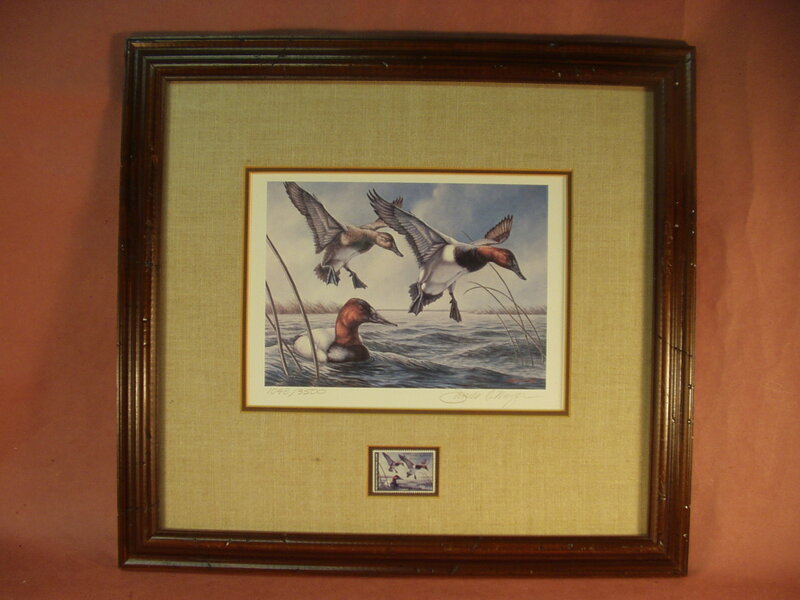 Print is professionally framed, and contains one Minnesota duck stamps signed by David Meager. 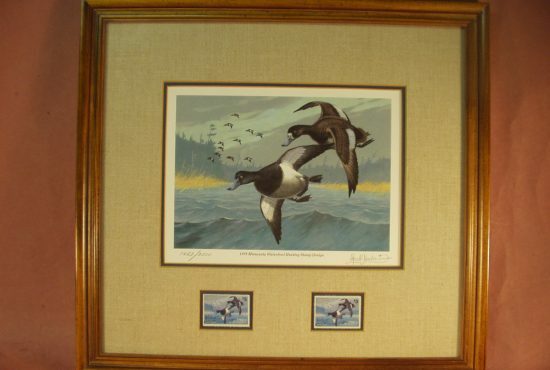 Print and Frame are in excellent condition and while pre-owned was well take care of. 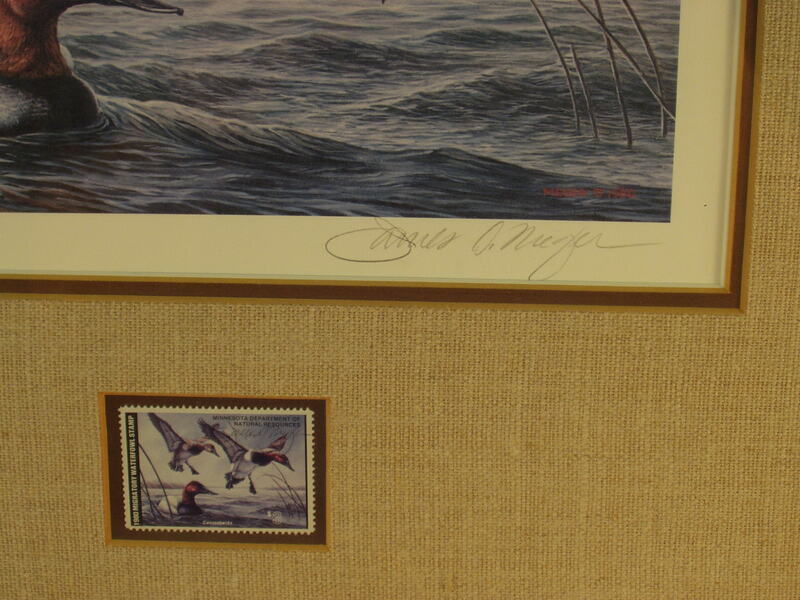 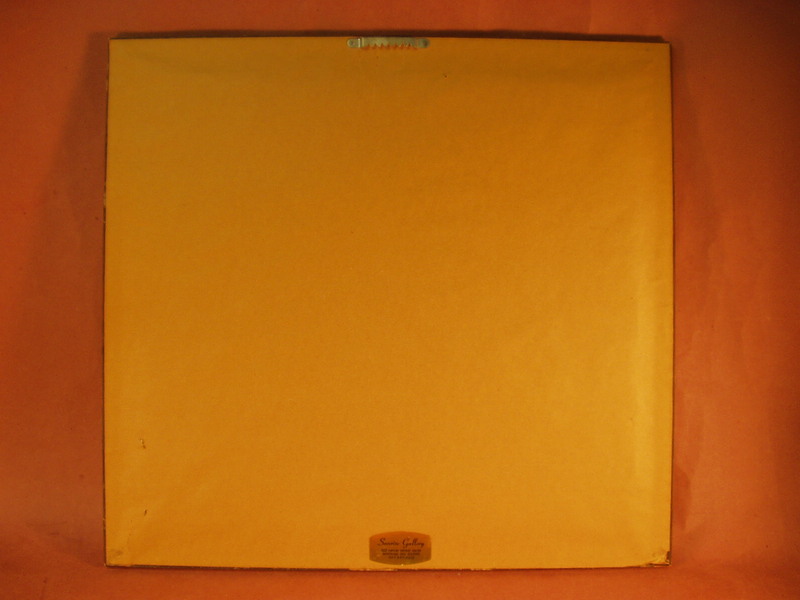 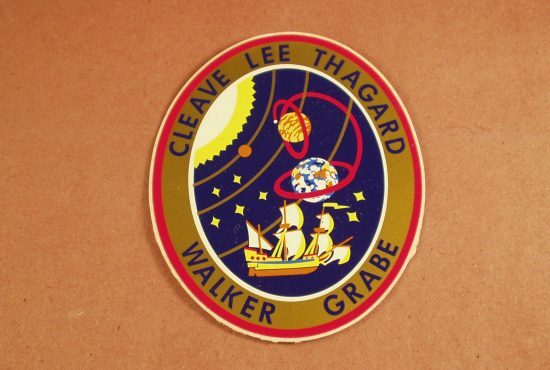 Paper backing in great shape with just one small fold in the lower right hand corner. 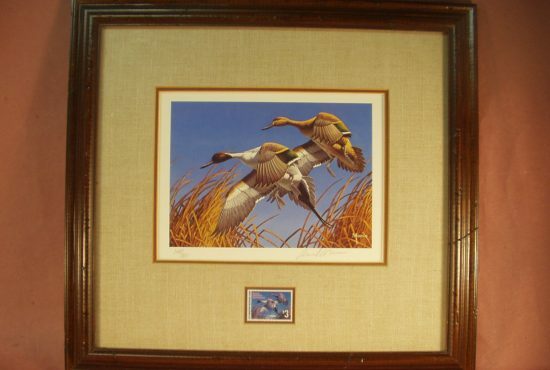 Framed Print Measures 18 1/2″ X 17 1/2″.